Lakeshore Records and Invada Records will release 'Out of Blue—Original Motion Picture Soundtrack' with an original score composed by Clint Mansell (Requiem For A Dream, Black Mirror) digitally worldwide March 15, the same day the film opens in US theaters. Catch Out of Blue in UK and Irish theaters two weeks later on March 29. 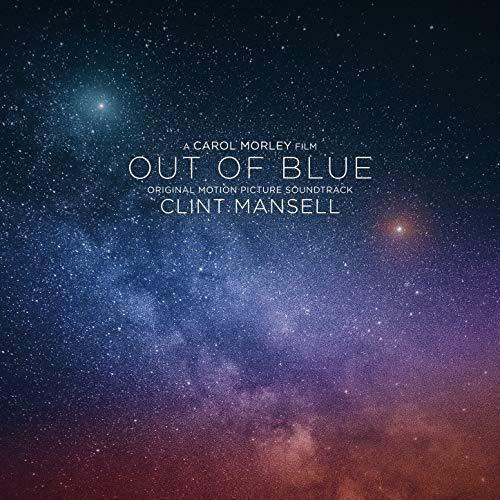 Lakeshore Records and Invada Records will release 'Out of Blue—Original Motion Picture Soundtrack' with an original score composed by Clint Mansell (Requiem For A Dream, Black Mirror) digitally worldwide March 15, 2019 - the same day the film opens in US theaters. Catch Out of Blue in UK and Irish theaters two weeks later on March 29. In Out of Blue, Mansell's dark and hypnotic score enhances the moody and menacing moments in the neo-noir murder mystery based on the novel 'Night Train' by Martin Amis. Directed by Carol Morley (Dreams of a Life, The Falling), the film stars Patricia Clarkson (Sharp Objects), James Caan (The Godfather), Jacki Weaver (Silver Linings Playbook), Toby Jones (Tinker Tailor Soldier Spy) and Mamie Gummer (True Detective). When New Orleans homicide detective Mike Hoolihan (Clarkson) investigates the murder of leading astrophysicist and black hole expert Jennifer Rockwell (Gummer) her quest for the truth destabilizes her view of the universe, and herself. Says Morley in the soundtrack's liner notes: 'So, here we have it, this soaring, heart shifting, mind bending soundtrack for Out of Blue. It takes you about and around and inside yourself. It propels, it develops, it leads us places.